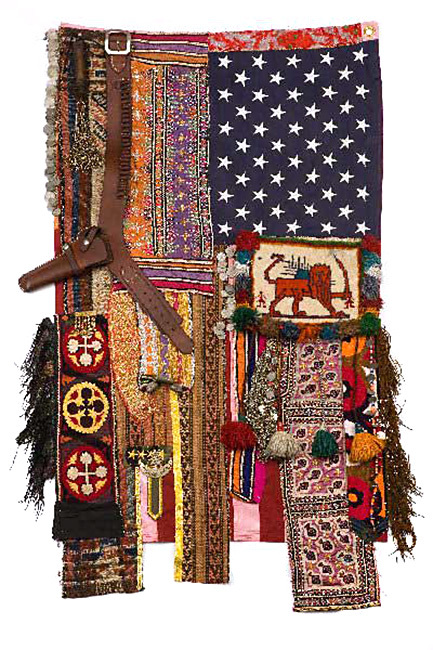 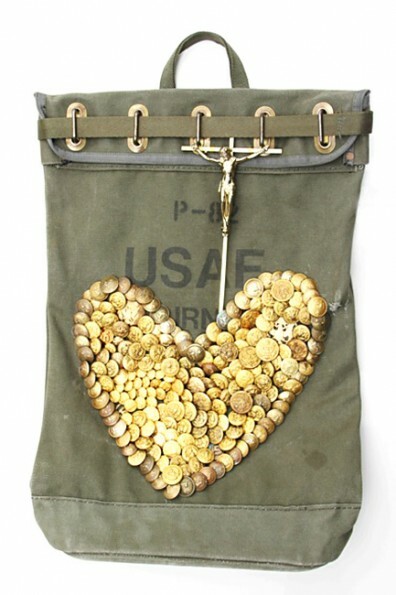 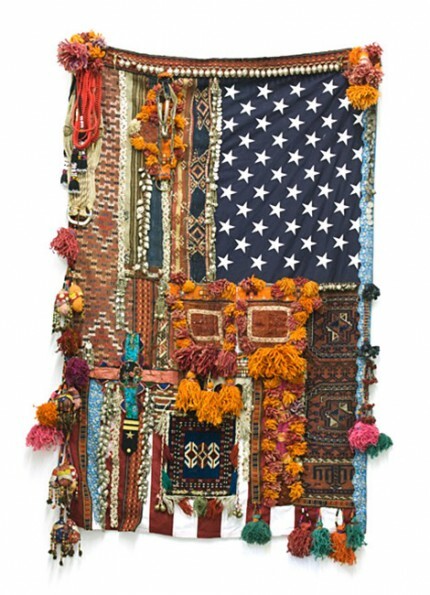 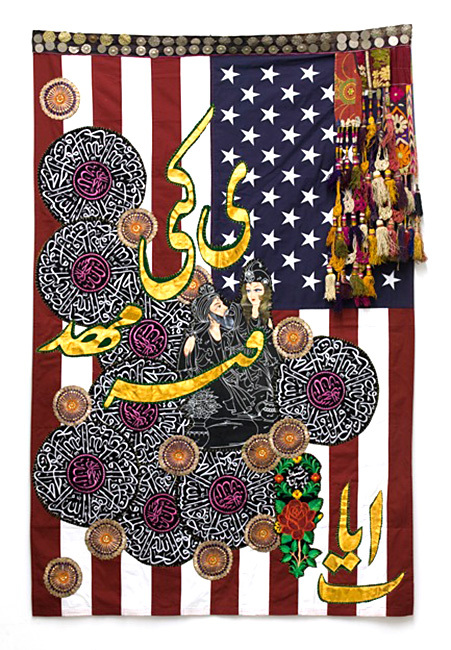 Born in 1976 in Tehran, Sara Rahbar is a contemporary artist based in New York. 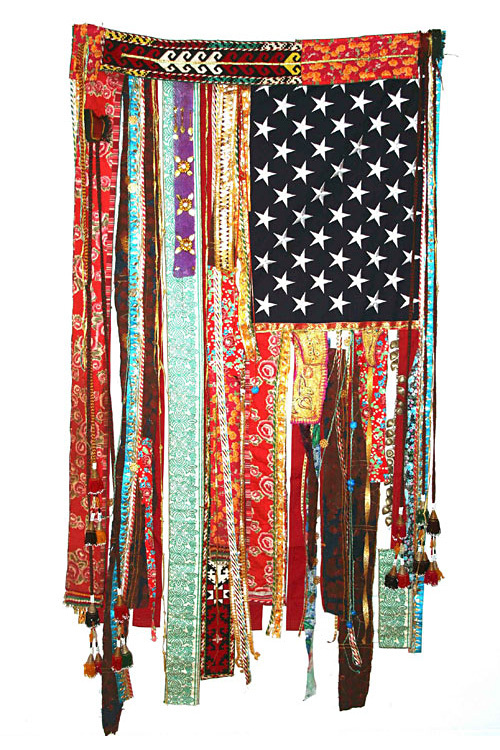 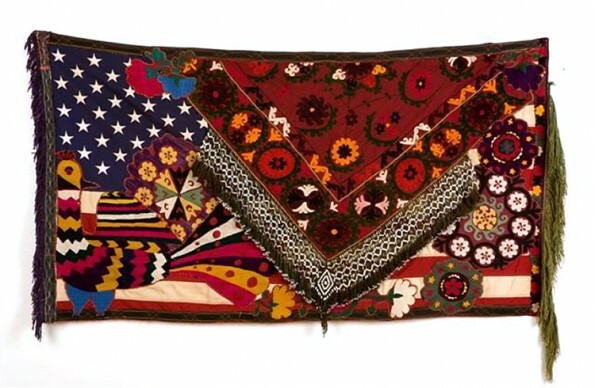 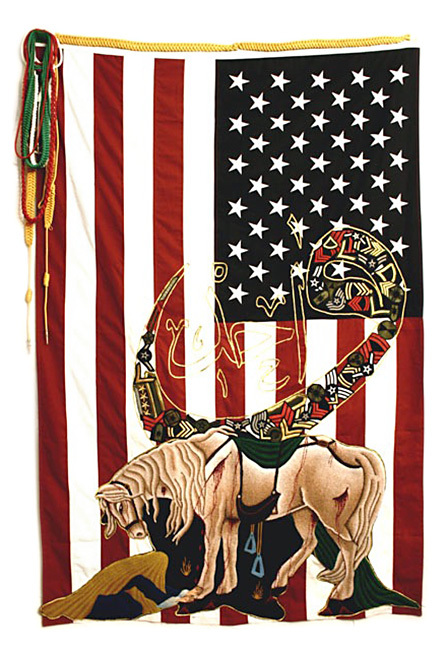 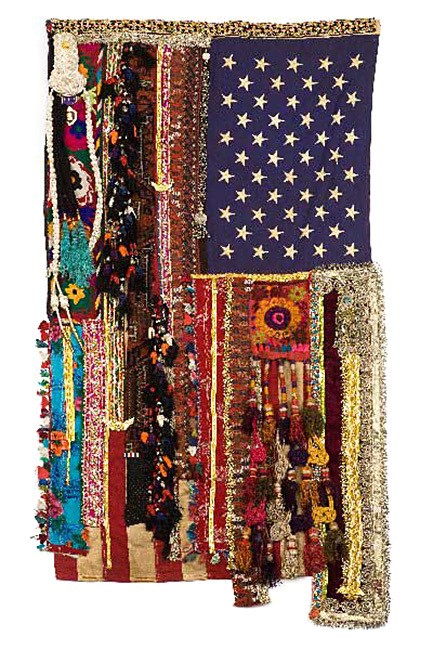 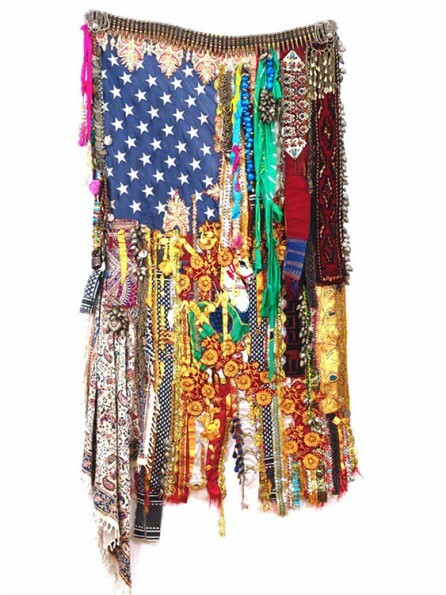 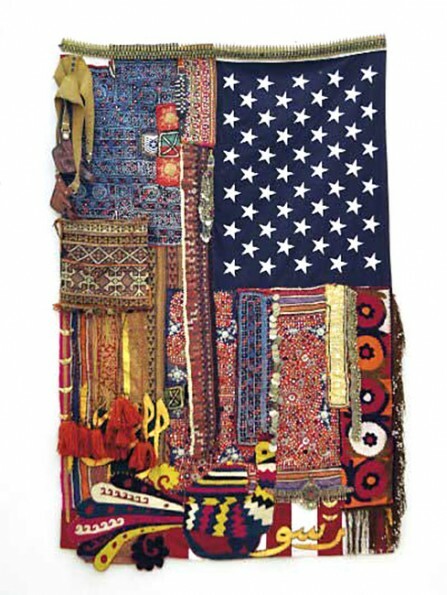 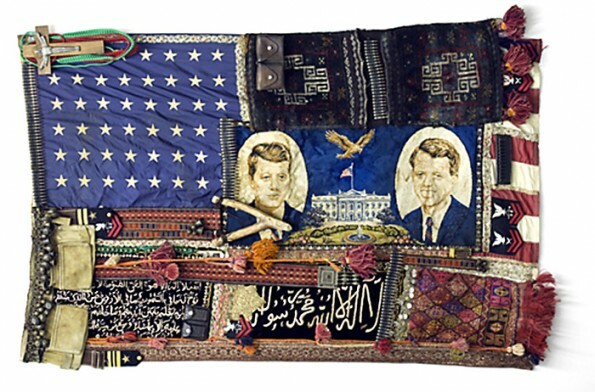 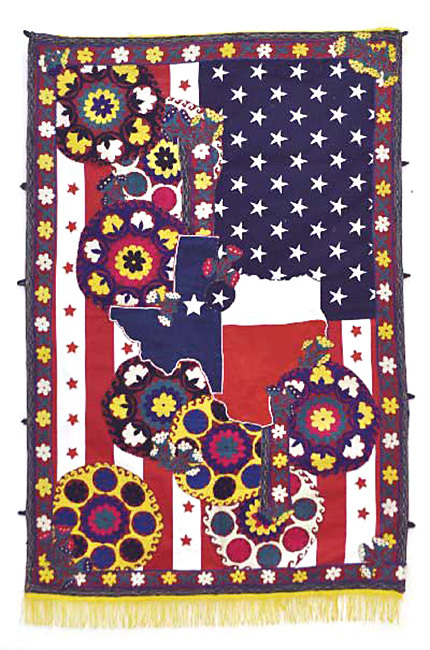 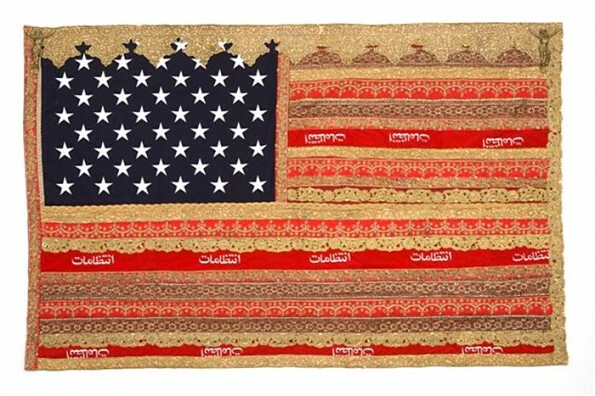 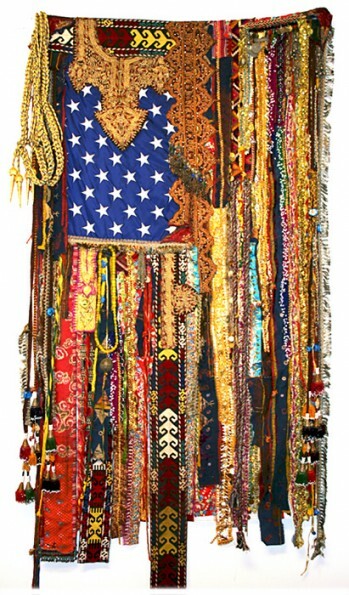 Her flag series demonstrates the often loveless relationship between the US and Iran, and the turmoil these tensions have had on this young artist. 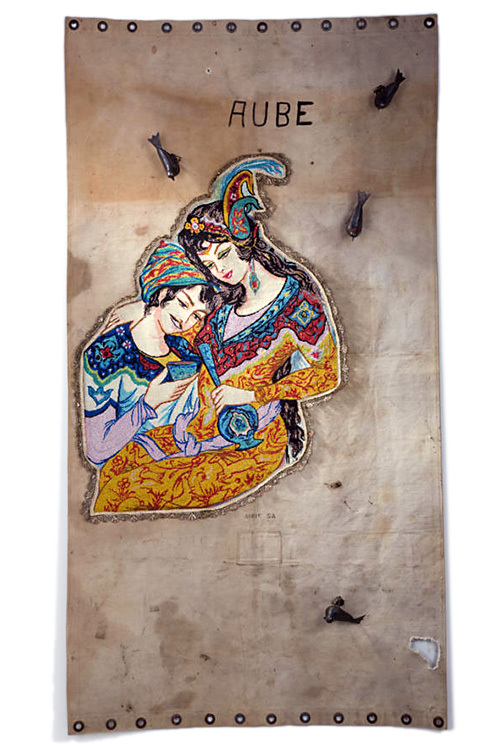 But as you will see, this tumultuous relationship has not been without some very beautiful moments. 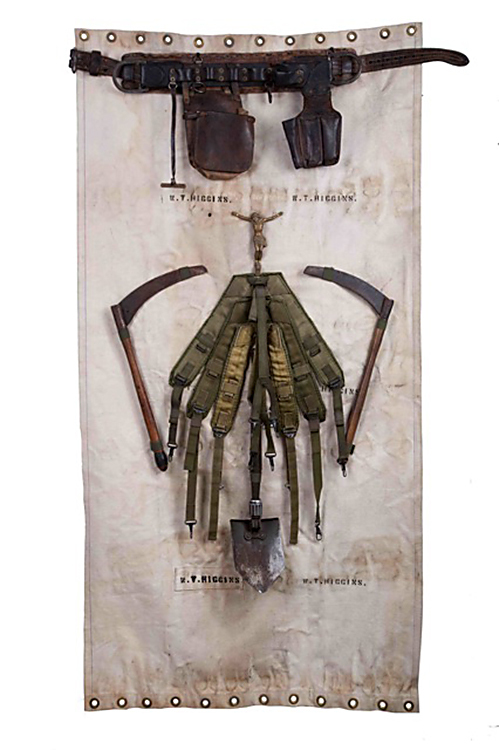 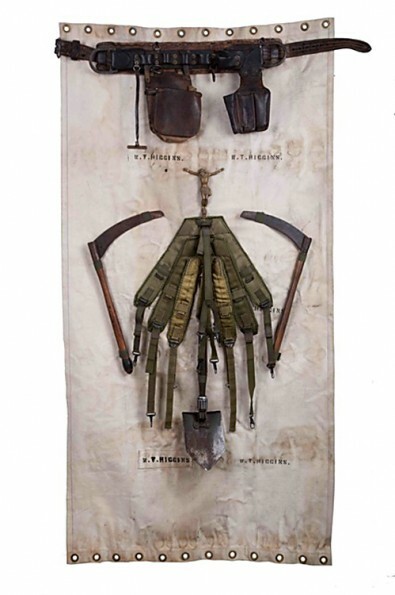 Some of Rahbar’s work is now part of the permanent collection at the Musée national d’art moderne in Paris.